Ashwini Bhide Deshpande, an outstanding vocalist of the famed “Jaipur-Atrauli” Khayal Gayaki tradition, represents the new generation of veterans worthy of wearing the mantle of the old masters.Born in a musical family, Ashwini completed “Sangeet Visharad” of the“Gandharva Mahavidyalaya” at the young age of 16 and won the President’s Gold Medal at the All India Radio Music Competition in 1977. After grasping the rudiments of Hindustani Classical music under the late Pt. Narayanrao Datar, she began imbibing all the traditional aspects of stylized Jaipur Gayakiunder the strict tutelage of her mother, mentor and Guru, Smt. Manik Bhide. Thoroughly grounded in the Jaipur Atrauli Khayal Gayaki tradition, Ashwini has developed into an artiste of immense public acclaim earning high praise from discerning critics and music lovers all over the globe. Ashwini’s musicianship is characterized by a blend of tonal sweetness coupled with vitality and emotion and raga structure-architecture. Her raga delineation shows an unerring grasp over the grammar of the raga yet maintaining a soulfulness in her singing. Through this she has succeeded in building up her own loyal audience. She yearns to explore the pathos of rare and complex (“achchop”) ragas characteristic of her Gharana. In this effort she has received invaluable guidance from her Guru the late Pt. Ratnakar Pai, a senior stalwart of the Gharana. 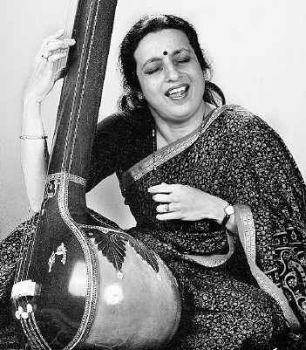 This, and of course, her mother’s unstinted support, added to her own mature introspection lead Ashwini to new horizons of the ever-expanding terrain of Hindustani Classical Music. Although a classicist by temperament and training, Ashwini is equally at ease with lighter varieties like Thumri-Dadra and Bhajans/Abhangs. Add to this, her fluency in Sanskrit enriches her repertoire further by inclusion ofstotras/stutis. Ashwini has added to her devotional repertoire by scoring the music herself of many of her devotional presentations. 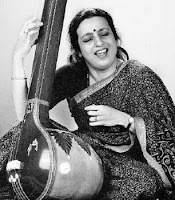 Ashwini’s debut recording album was released in 1985 by HMV and several more have followed thereafter under various banners including Rhythm House, Times Music, Sony Music, Music Today, Navras Records and Universal Music among others.In October 2004 Ashwini published a book "Ragarachananjali" of her self-composed bandishes. The book has received rave reviews all over the music world and the effort has been lauded for its musical creativity and artistic presentation. Continuing her creative effort she has followed up with"Ragarachananjali 2", her second book of bandishes in October 2010. Ashwini has traveled extensively all over the globe participating in various prestigious music conferences and Sangeet Sammelans. Her live concerts have been acclaimed for the sheer presentation delight, as much as for the aesthetic and musical quality. A 'top grade' artiste of Akashwani andDoordarshan, Ashwini has featured in several national programmes and AIRSangeet Sammelans. As a teacher of competence, Ashwini devotes quality time to her promising disciples assuring continuity of the rich tradition of the Jaipur Gayaki. Ashwini has regularly participated in lecture-demonstrations on Hindustani Classical Music in various schools, colleges and sangeet sabhas and contributes to the enlightenment of the unexposed audiences in India and abroad. Ashwini's contribution to Hindustani classical vocal music has been acknowledged by way of awards and citations. She is recipient of the Sahyadri Doordarshan “Sangeet Ratna” Puraskar for 2010. She was honoured with the "Pandit Jasraj Gaurav Puraskar" on the occasion of the 75th birthday celebrations of the Maestro. She was awarded the "Rashtriya Kumar Gandharva Samman" by the Government of Madhya Pradesh - the first female Hindustani vocalist to have been decorated with this prestigious national award. Ashwini, who is currently stationed in Mumbai, finally chose music as her first love forsaking a career in Biochemistry but not before completing her doctorate at the esteemed Bhabha Atomic Research Centre/ University of Mumbai.